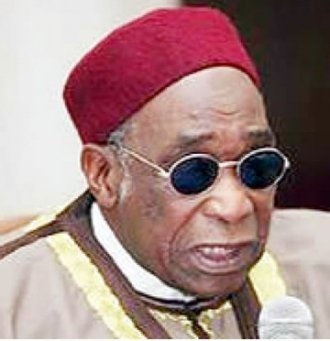 Elder statesman and Nigeria’s former Permanent Representative to the United Nations (UN), Yusuf Maitama Sule is dead. Sule was until his death a quintessential Nigerian politician, an acclaimed orator and diplomat. 1. Maitama Sule’was born in 1929 in Kano and had his elementary education at the Shahuci Elementary School in Kano, Kano Middle school and then Kano College. 2. He was a school teacher in his early career. 3. He was elected into the Federal House of Representatives in 1954 and became the Chief Party Whip in House between 1955 and 1958. 4. Late Sule was appointed Minister of Mines, Petroleum Resources and Power in 1959 at the age of 29. He was the first Nigerian to be appointed to that position. As the first oil minister, he ordered Shell to surrender some of its concession in order to provide competition in the system and boost efficiency. 5. His efforts brought Agip and other players into the sector, got Nigeria into OPEC, started the first refinery and established National Oil Company (now NNPC). 6. Aside being the first oil Minister, he also scored many firsts during his official work life which include: first Commissioner for Local Government ,Kano State, first Commissioner for Forestry, Community Development and Cooperative. He was also the First Chief of Public Complaints Commission of Nigeria, First Chairman National Council for Arts and Culture. 7. He was the Special envoy of the President, Federal Republic of Nigeria to the Lancaster House Talks for the independence of Zimbabwe. Sule contested for the presidency in 1979 under the National Party of Nigeria (NPN) but lost to Shehu Shagari. 8. He was appointed Nigeria’s representative to the United Nations after the coming of civilian rule in September 1979. While there he was chairman of the United Nations Special Committee against Apartheid. 9. After, the re-election of President Shagari in 1983, Sule was made the Minister for National Guidance, a portfolio designed to assist the president in tackling corruption. 10. Before his death on Monday, he was the National Chairman of the Northern Elders Forum (NEF).